View More In Loveseat Covers. 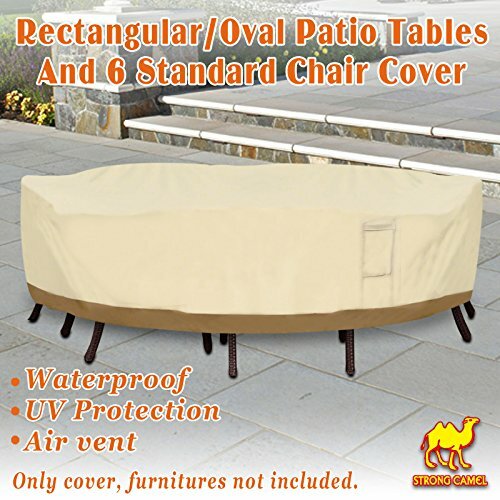 Elegant protection for patio tables and chairs against the elements. Fits rectangular or oval table up to130-inches long, 83-inches wide, 22-inches high and 6 chairs. If you have any questions about this product by Strong Camel, contact us by completing and submitting the form below. If you are looking for a specif part number, please include it with your message.